It’s an odd phenomenon. Everyone is writing novels. It almost seems as if more people are writing them than reading them. Certainly that is the impression you get if you take a quick look at Twitter. The problem is that having written them these new writers expect other people to read them. And they are bitterly disappointed when readers either don’t buy them or don’t enjoy them. So why are so many people exposing themselves to almost inevitable disappointment? In any other artistic endeavour aspiring wannabes generally feel they might need a bit of training – art school perhaps, or dance classes, or at the very least some singing or acting lessons; but with writing, of course, if you know how to hold a pen or navigate a keyboard, anyone can do it. Rustle up a story line, string 60,000+ words together and de da! you’ve written a novel! And it’s so easy to publish now. You no longer have to wait months for an agent or publisher to deign to read your submission, your alluring approach letter, your agonisingly brief synopsis, your oh so manicured first three chapters, let alone wait another eternity for the remote possibility that they might condescend to see the rest. No, nowadays as soon as the last word is written you can hop onto KDP and by the next day your masterpiece is up on Amazon and ready to sell. In the old days it was almost unheard of for a writer to get their first book published (most successful authors have several rejected manuscripts languishing in a bottom drawer somewhere). Now, (because they do it themselves,) it is the norm. And that’s fine, readers have a choice, they can sort out for themselves what they want to read and what to avoid. They can read the first few chapters before buying so they know what they are letting themselves in for. But it does mean that many of the hopeful writers of those un-crafted, unpolished, sadly unstructured novels are going to be disappointed. So what’s the solution? Well, not everyone can take an MA in Creative Writing, not everyone has access to good local writing courses. But there are lots of books about writing around. And of course, the biggest learning tool of them all, there are lots of excellent novels around too. Reading is the key. 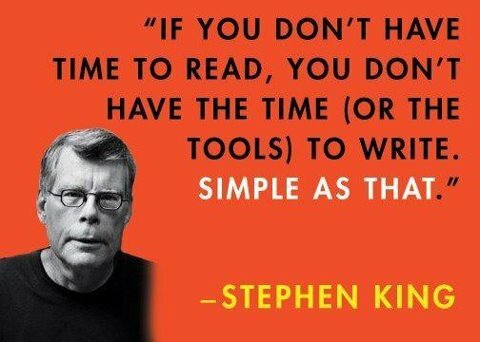 And not just reading, analysing too, why a certain character comes alive on the page, why a particular scene seems so powerful, why you can’t stop turning the pages. In the kind of market we have now it is even more important than ever to write a really good book. There is simply too much competition for anything less. So my advice to new writers is to read (and preferably in a range of genres and styles), to practice, hone your craft and not to publish until you are absolutely sure that you have created a well structured, readable, engaging, well edited novel that potential readers simply won’t be able to put down.